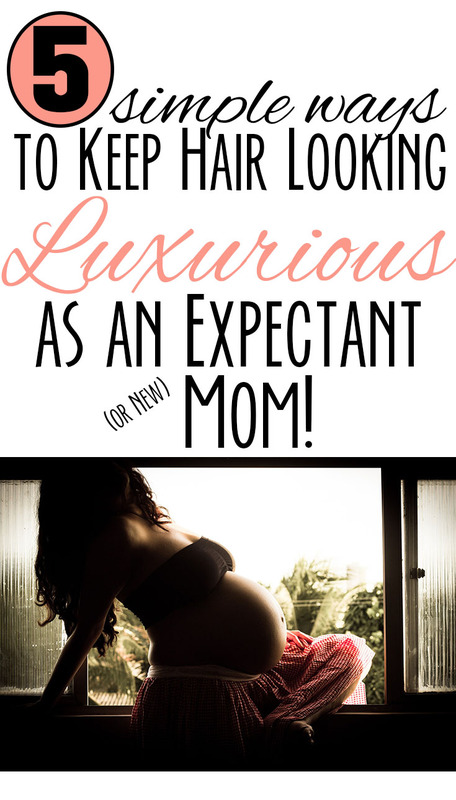 5 Simple Ways to Keep Hair Looking Luxurious as an Expectant or New Mom! This post was sponsored on behalf of NIOXIN. All opinions stated are my own. It's true, I'm a shedder. While I'm currently pregnant and I've noticed my hair has been shedding just a little less, it's still enough for me to deal with handfuls of my own hair falling out. When I was younger I used to joke that my hair was so thick that I'd never have a problem, even with all of my shedding... now I'm not so sure. I've noticed the older I get, the thinner my hair gets and instead of waiting to see what happens I want to get ahead of the shed and keep my hair as thick as possible for as long as possible. Whether your also pregnant or a new mama, you may have experienced something similar and today I want to share a handful of ways to keep our hair looking luxurious, even if it has a little spit up in it! 1. Sometimes hair loss is related to nutrition and diet, be sure to eat foods that promote a healthy body in general while also including foods that are rich in protein, iron, and Vitamin D! 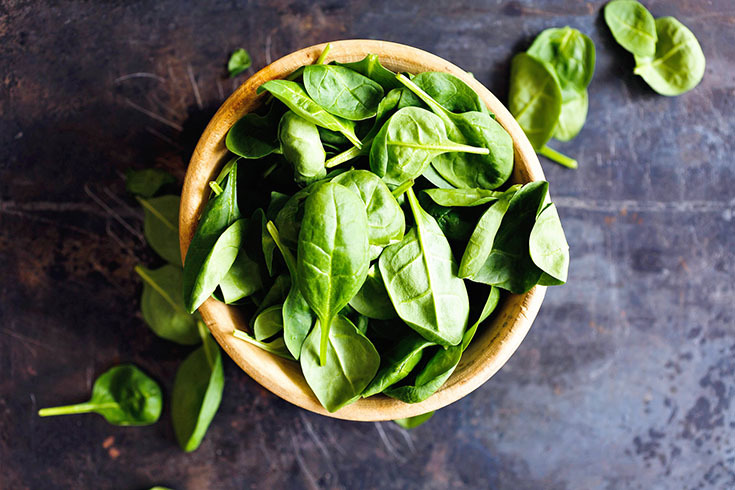 While it's hard to survey the grocery store as a new mom add items like spinach (which is rich in iron) and salmon (which contains plenty of protein, Vitamin D, & an added bonus of omega-3s). 2. As an expectant (or new) mama, your body is undergoing a lot of changes. From hormones fluctuating to adjusting to a new sleep schedule, our bodies are going through a lot. While you should always be taking a vitamin to help keep your body in it's tip-top shape, this time in our lives is the most important time! 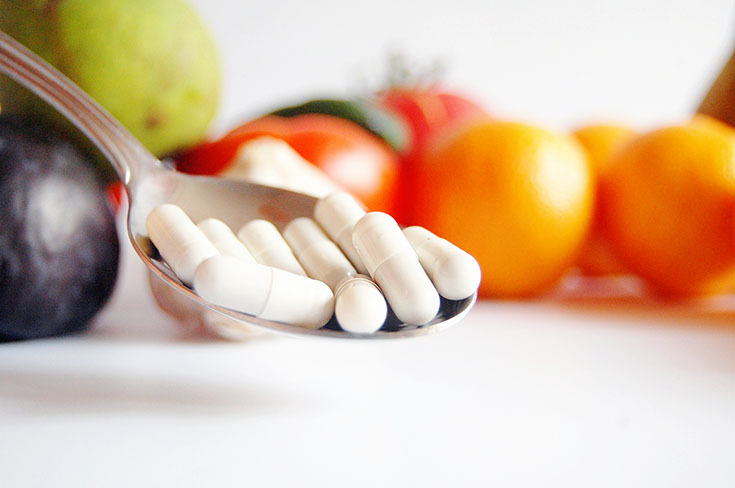 Expecting moms should make sure to supplement their diet with a Prenatal and new mamas need to be taking a post-natal vitamin to help regulate their bodies and hopefully get their hair growing healthily again! 3. Another step mamas can take to get their hair in the best condition it can be is to adjust their shower routine! After switching to NIOXIN I'm noticing a change in my locks already and it's definitely for the better! I took the NIOXIN 30 day challenge after finding out which system would work best for my hair here and I'm overjoyed to say that this step may be the easiest and most effective way to get my hair back to it's flowing, full look and I noticed it was working within a few weeks whenever my curls looked less stringy and more full & flowing. 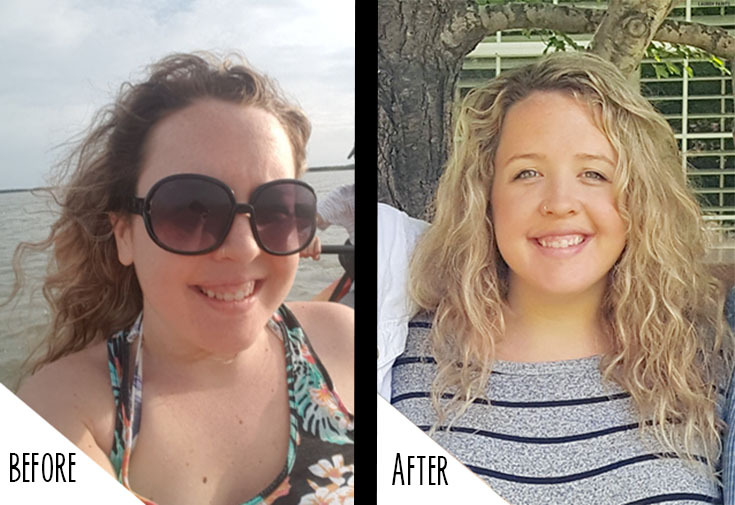 Paired with the Bodifying Foam 3D Styling from NIOXIN, my hair is looking youthful and bountiful and I'm overjoyed to share my results! Are you interested in taking the 30 Day challenge? Find out which kit will work best for your hair and begin a daily regimen to give you thicker, denser-looking hair in 30 days, guaranteed! 4. Stop pulling your hair back all the time, even if it is the easiest style to achieve - it isn't good for your hair, especially while wet! Instead of reaching for an elastic hair tie each time your kiddo grabs at your hair, think of possibly just pulling it out of your face with a cotton headband or even flipping your hair to the other side out of reach. Keeping your hair healthy starts with treating it right and I've found I have less breakage whenever I stop throwing it back in a pony tail. 5. This last tip is easier said than done, but stress less. Allow others to help you with new mama duties, if possible, and take a break from worrying every now and again. 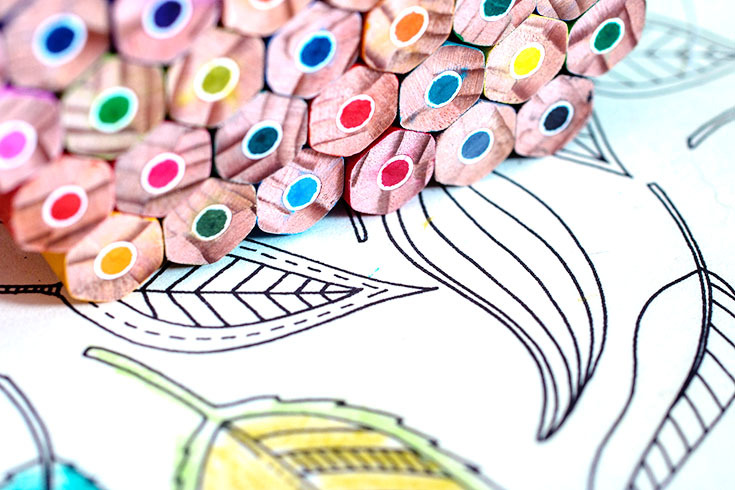 Whether you want to practice yoga for a half hour or color in a coloring book for a couple of minutes between feedings, take time for you and destress! Your hair is just like every other part of your body and if you're stressed all the time, it's going to show in your luscious locks! 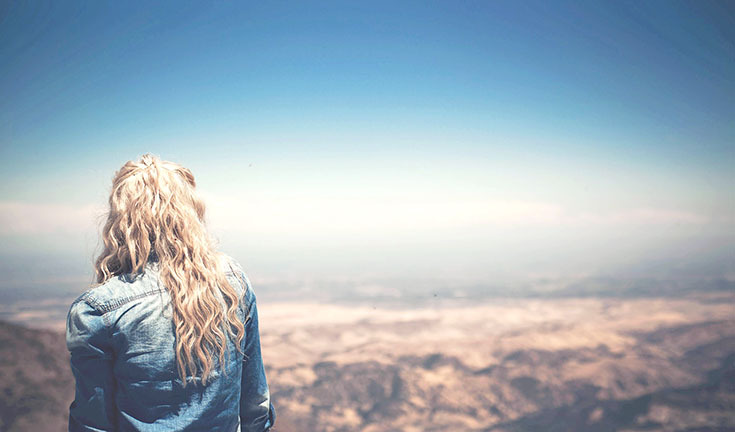 So tell me, have you ever experienced your hair thinning? If you're going through the dreaded shed currently, you'll want to give NIOXIN a try. The 3-part system kits are tailored to suit your strands and the perfect way to get noticeably fuller hair within just 30 days! 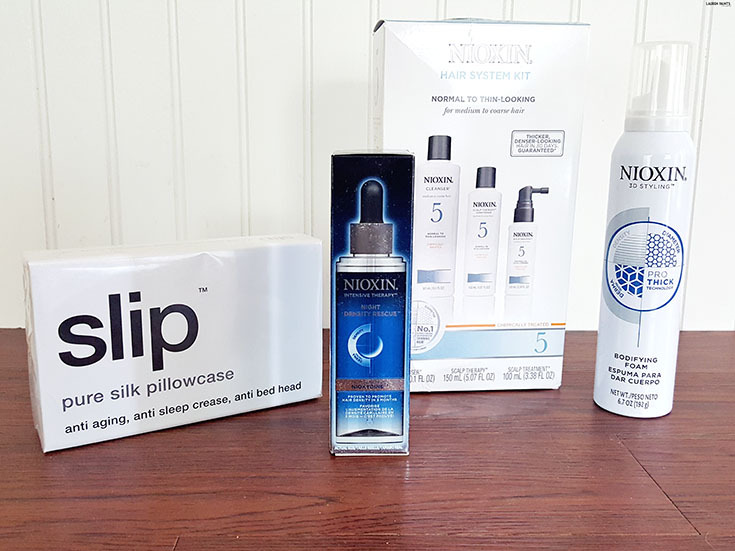 NIOXIN's commitment to innovation, supported by 25 years of research, enables them to help more than 3 out of 4 men & women in the US who are experiencing thinning hair. Each system addresses three key factors that are crucial in treating thinning hair: the scalp and hair enivorment, the role of hair healthy, and the change hair structure over time. 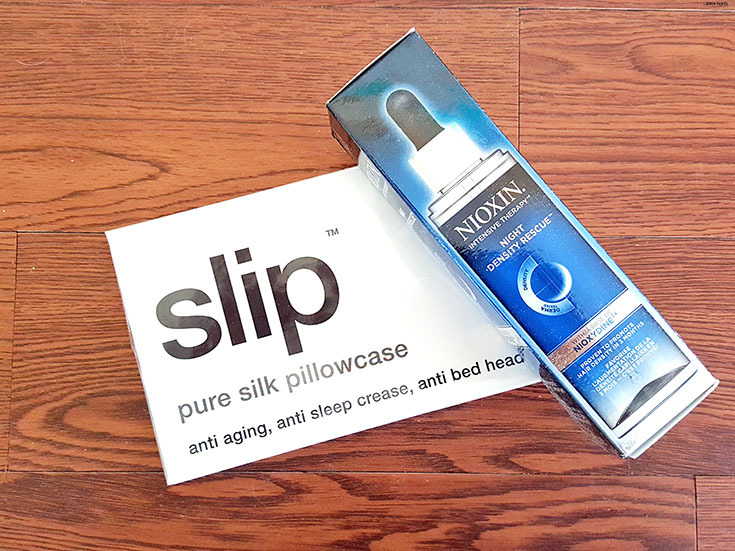 On top of the systems, they also offer amazing products like Slip, which is a pure silk pillowcase that helps your hair stay healthier and crease free! They also make an intensive night therapy to help improve your hair and it's condition overnight! 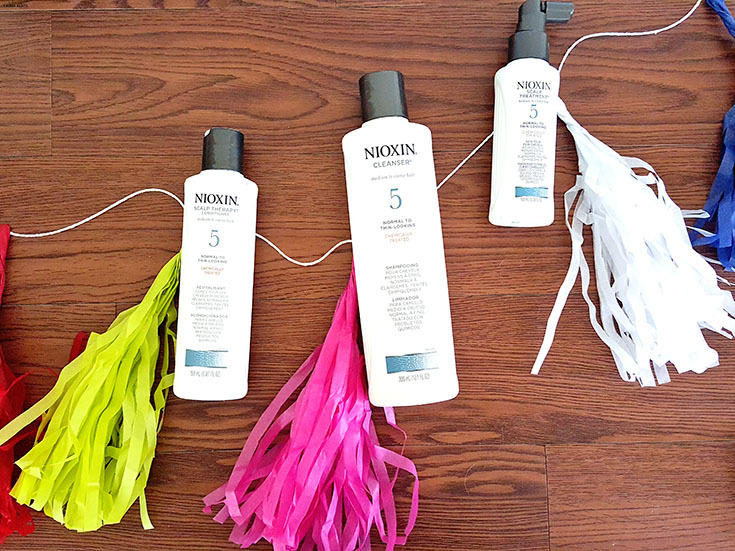 For more information on NIOXIN products and to locate a NIOXIN salon, please visit www.nioxin.com.